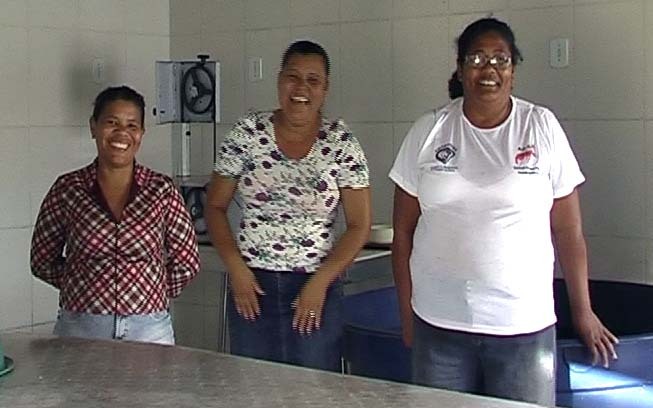 A dynamic group of women from the Mariculture Association of Conceição de Barra (Associação dos Maricultores de Conceição de Barra – AMABARRA), a union dedicated to local shrimp workers located in the north of Espírito Santo, are responsible for the on-land work of cleaning, de-shelling and preparing the shrimp for sale. They handle hundreds of kilos of shrimp every week that is either sold on directly or frozen. While it is a state company which lies behind the further contamination of seas and depletion of sea resources, the shrimp is also bought by the government for elementary school lunch programs to make a traditional soup, Bobó de Camarão, consisting of shrimp and manioc. “We are suffering more damage as the oil contaminates our seas and rivers as well as the pesticides from the eucalyptus plantations that pollute our rivers. Sometimes we pick up the fish and it’s full of oil with a strong-smelling resin.